Kenneth D. Ladd, 94 years, passed away Thursday, August 23, 2018 in his residence. Ken was born March 16, 1924 in Ashley, Indiana, the son of the late Elias and Tena (Myers) Ladd. He was a 1942 graduate of Ashley High School. Ken served our country in the US Marines Marine Corps in WWII. He married Norma Jean Gessinger on August 12, 1950 in Hamilton and she survives. 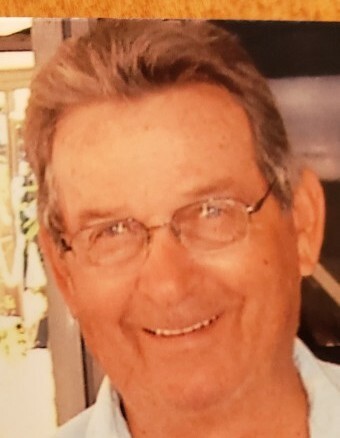 He began his working life at Weatherhead Corporation, operated a backhoe business on nights and weekends, and built a nine-hole golf course at Cold Springs, later expanding to 18-Holes in the early 1960’s. He and wife Jean managed the golf course until the mid-70s. Ken also was a founding partner of Trans-Power, Incorporated where he worked for over two decades until it was purchased by Kaman Corporation in 1978. Ken was an avid golfer, raising his boys to enjoy the game. Ken was a member of the Otsego Lodge 701 F. & A.M. in Hamilton and the American Legion Frierson Nichols Post 8, Winter Haven, Florida. In his later years, Ken loved to fish on Lake Hatchineha in central Florida, where they lived until last year. Surviving is his wife, Norma Jean of Hamilton; two sons, Kenneth D. (Sharon) Ladd of Grand Rapids, Michigan and Jonathon W. Ladd of Baltimore, Maryland; four grandchildren, Charity (Chad) Songor, Kenneth (Marianna) Ladd III, Jessica Ladd and Jonathon Ladd Jr.; three great-grandchildren, Rheese, Lily, and Grant. He was preceded in death by his parents, one sister, Wilma Gorrel, and one brother Gerald Ladd. A Celebration of Life for Kenneth Ladd will take place on Saturday, September 22, 2018 from 1:00-4:00PM at Glendarin Hills Golf Course, 3333 Glendarin Way, Angola, Indiana with Pastor Jeff Alexander officiating. Military Honors will be accorded by the Hamilton American Legion Post 467. Private interment will take place in Waterloo Cemetery. Arrangements are under the care of Oberlin-Turnbull Funeral Home, Hamilton. In lieu of flowers, the family has requested memorial contributions be made to the Northern Indiana Veterans Administration Health Care System.